Palawan is a stunning world of water that has recently become a popular destination for leisure travelers. Check out our ultimate travel packing list to make sure you have the best possible tropical holiday! Whether you’re a seasoned traveler or this is your first trip, it helps to know what to pack for Palawan ahead of time. Palawan is without a doubt a fascinating part of the Phillippines full of natural wonders. It may be a completely different world for you in terms of climate and surrounding. 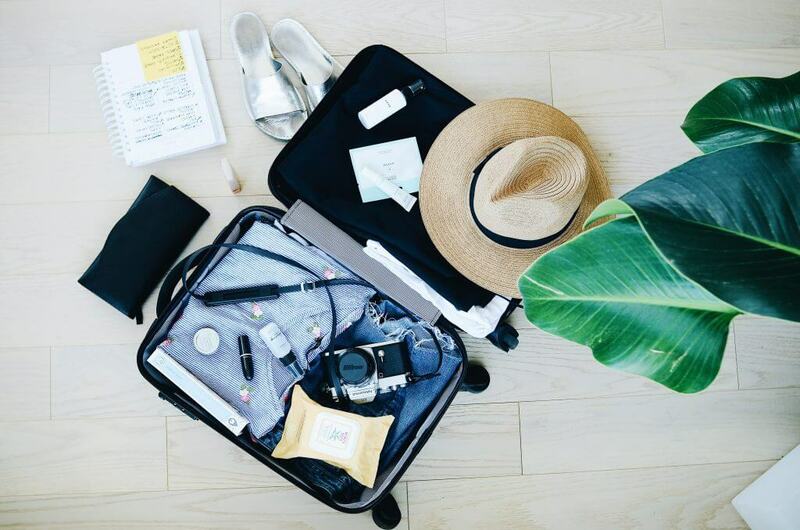 To make the most out of your tropical holiday, feel free to bookmark this comprehensive travel packing list. It will help you make sure that you’ve thought of everything else you may want to pack for Palawan. When it comes to the dilemma of suitcase vs. big backpack, it all depends on your travel style, preferences, and needs. For a hassle-free travel, choose a luggage that is lightweight, versatile, and big enough to hold all your travel essentials. If you are not really planning to rough it or travel by public transportation around Palawan, then you may opt for a suitcase or convertible backpack. A rolling luggage would be fine especially if you are just flying directly to Palawan from Manila or from another city in the Philippines. There’s no need to punish yourself by carrying all your stuff on your back – especially if you are not really that type of traveler. The airport transfer service can take care of transporting your luggage to your hotel. If you are planning to explore Palawan and travel by public transportation, a convertible backpack is recommended. You may be going through different types of terrains, switching from airports to uneven roads. In some places in Palawan with really bad roads, it can be such a hassle to drag a suitcase on wheels. 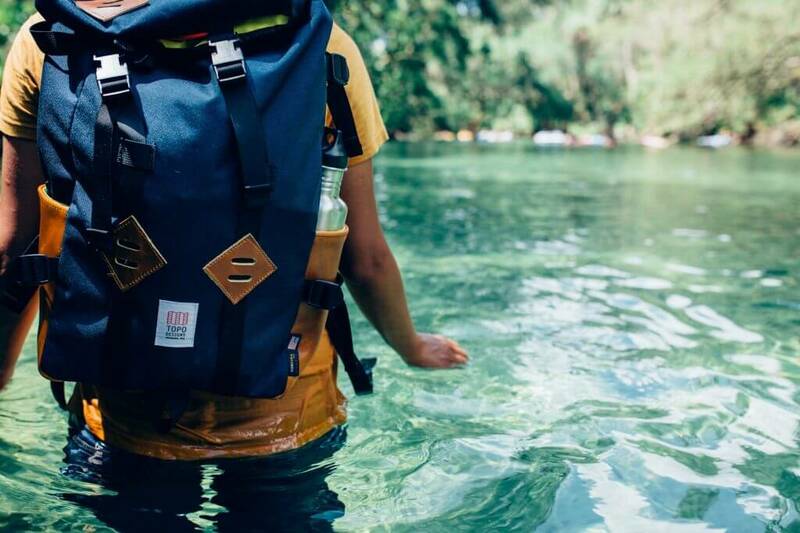 For light packers or those who are not planning to extend their Palawan trip, a duffel bag, carry-on, or travel backpack will do if you don’t want the extra weight of wheels. Traveling with a backpack means ultimate versatility and hands-free mobility. While a carry-on luggage means you can save on check-in fees, save time at the airport and won’t worry too much about the airlines losing your luggage. Make sure to double check airline baggage rules of the ones you are flying. If you are thinking about what to pack for Palawan, then you should start with the basic items such as proper clothing and comfortable footwear. If you are going straight to El Nido and have lots of activities you plan to do, that means you would be bringing a fair amount of gear. You need to keep everything organized to make room for all your travel essentials. Using packing cubes or packing organizers can make all the difference. These neat little things will not only let you know exactly where your stuff is, but your clothing can be compressed and arranged so you can fit more in your bag. You can save precious time by not having to rearrange your entire bag again and again. Packing for Palawan is pretty simple but remember that it has a very warm and humid climate. The great thing is that there’s no need to worry about wearing conservative kind of clothing in this region, you can wear almost any type of comfortable wardrobe to survive the oppressive heat. Stick with breathable and lightweight clothing that covers you up and keeps the mosquitoes away. Note: This packing list only serves as a guide. This does not mean that you overpack or pack a lot of clothing options. We highly recommend anyone to pack smart or pack depending on your chosen activities and destination. Ask our itinerary specialist if you want to learn more about what to pack for Palawan. If you’re traveling with a carry-on luggage, keep your toiletry bag light. Make sure that all liquids, creams, pastes, aerosols, and gels are in 100ml or less per container and must be placed in transparent resealable plastic bags measuring approximately 20cm x 20cm. Please check Philippine Airline’s restricted items for more information about how to pack safely or what to pack for Palawan. Make sure to check the CDC website for comprehensive travel vaccines, medicines, and travel advisory. The CDC and WHO recommend these vaccines for the Philippines: Malaria, Hepatitis A, Hepatitis B, Typhoid, Cholera, and Rabies. Wondering what to pack for Palawan adventure? There are two types of packing lists – packing list and adventure packing list. If you are traveling to Palawan, it is without a doubt that you’ll be taking boat trips, water sports, and other adventure activities. For a hassle-free travel experience, we recommend you to bring your own adventure gear instead of renting. Besides, it’s safer or more hygienic to use your own stuff. Money belt or neck wallet is always recommended to bring when traveling as it lets you keep your money, bank cards, and other valuables close to your body. As part of travel planning, make sure that your passport, credit cards, and IDs are not expired. Passports should have at least six months of validity when traveling internationally. Make sure to inform your banks if you’re traveling abroad to avoid your cards getting blocked. It is also important to have soft copies of all the travel documents saved in your email. And of course, part of this comprehensive travel checklist is to ensure that your home is in order before you travel to Palawan, especially if you will be traveling for a while or extending your trip. This includes pre-paying your bills, making sure that the appliances are turned off, having a house-sitter to take care of your pets and plants, setting up an out of office message or email autoresponder, locking all doors and windows, emptying your refrigerator of anything that will expire and storing all valuables in a safe place. Thinking through home care before you leave ensures a worry-free holiday. Remember, this packing list serves only as a guide. Each traveler may have different needs. Make sure to plan the activities and tour in advance to know more about what to pack for Palawan. Planning gives you more time to think through your packing list and ensures a hassle-free vacation. Packing light is always recommended as it helps with mobility and gives you more freedom. As a general rule, respect the culture, people, and places you visit. If everything is in order and planned perfectly well, you’ll definitely have a great time in Palawan! Please don’t hesitate to ask our itinerary specialist if you have any burning questions about your Palawan trip or if you need more packing advice.